Today was my designated tourism day, and to that end, I'd hoped to spend a full day visiting the Korean Demilitarised Zone. Unfortunately, the Joint Security Area was closed this weekend due to a special event, forcing me to come up with an alternate plan. The weather forecast indicated an entire weekend of sunshine, and given that, I decided to go all-out, figuring that there would be plenty of time to sleep on my twelve hour flight home. 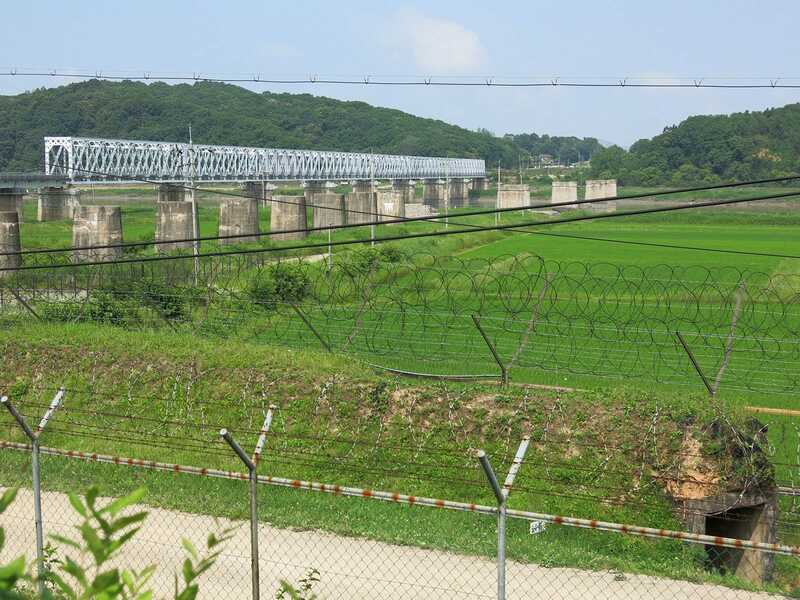 Pyeonghwa Land is right next to Imjingak, a national park located a few kilometres from the border that is full of statues and monuments to the Korean War. The Lighting Train (#1922) was memorable only for the fact that the letter 'N' appears to have gotten lost in translation from the original Korean. I also tried the Ghost House walkthrough, which was, in a word, missable. 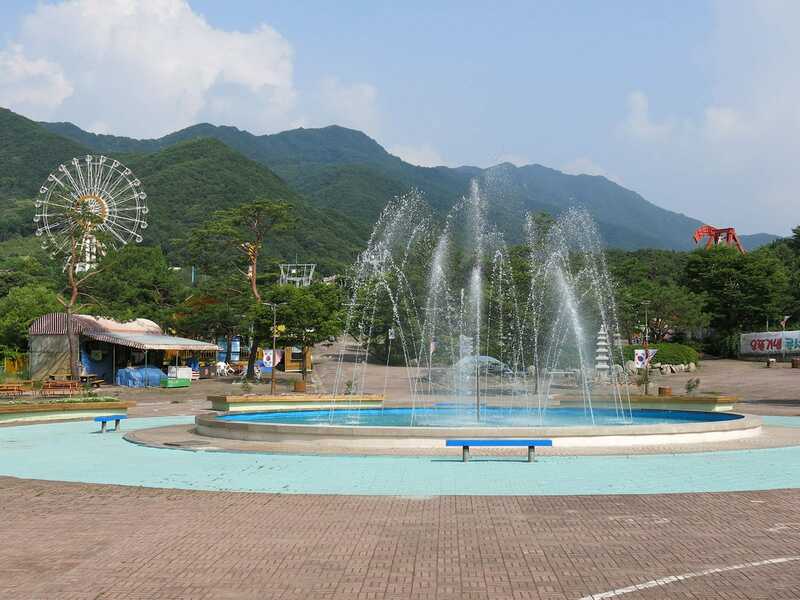 It was impossible to source any opening hours for Goseokjeong Land on the Internet, but it seemed reasonably likely that the park would be open in the middle of a Saturday afternoon. On arrival I wondered if I'd guessed wrong, as the place appeared to be deserted, but closer inspection revealed an elderly man in the ticket booth, who was also apparently the ride operator. He sold me a ticket for the Jungle Mouse (#1923), then put a sign up in the booth window and walked over to the ride with me. The coaster was better than I'd expected given its general appearance and my recent experience of similar rides in China. I'd been expecting the corners to cause bruising, but to my surprise they didn't; instead, I'd found a mouse that was good fun and well worth the effort required to get there. I decided to ride a second time, which may possibly have doubled the park takings for the day. My GPS told me that it would take around two hours to cover the journey from Goseokjeong Land to Wonju American Dream Land. Unfortunately, the route it had in mind was on roads that didn't appear to have been built, resulting in numerous "recalculating" announcements punctuated by not-so-quiet cursing from this driver. In the end it was almost three hours before a massive ferris wheel came into view on the side of a mountain. The park is designed to feel American, and achieves this by having a model of Lady Liberty, signage in English, flags everywhere, and a number of friendly staff imported from various colleges in the United States. Today, however, business was slow; there were about fifty guests in the park, evenly split between a small water park area and a Karaoke competition, neither of which interested me. Nobody else seemed to want to ride Top Coaster (#1924), and to be honest, that wasn't altogether surprising. The trains (with lap bar and over the shoulder restraints) negotiated the track quite awkwardly, resulting in quite a bit of head banging. On disembarking, I walked up the mountain to the Wonder Wheel, but it was immediately obvious that the ride had been out of commission for several years.